Google has unveiled a new Android generation software named Andriod 9 Pie which will be launched by August 20. Google initially announced a preview version of the software in March, then demoed some features at its annual I/O developer conference in May. 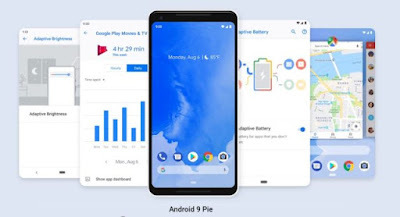 The new version of Google’s mobile operating system, Android 9 pie is a software baked with artificial intelligence to make your phone smarter, simpler and more tailored to use. As this new software is set to be launched, here are the 20 things you need to know about it. 1. It is not surprising Google named its latest Andriod software, Andriod Pie, as previous ones were named after gourmets. For example, A previous Android version was called Oreo. Before that was Nougat, preceded by Marshmallow and Lollipop. 2. Android 9 pie is currently available on Pixel phones and devices that participated in the Beta program from Sony Mobile, Xiaomi, HMD Global, Oppo, Vivo, OnePlus and Essential. while all other qualifying Android One devices will receive this update before the end of the year. 3. Android 9 will help you get things done faster with App Actions, which predicts what you’ll want to do next based on your context and displays. 4.This new software feature Smart Text Selection which recognizes the meaning of the text you’re selecting and suggests relevant actions. 6. Android 9 brings important privacy improvements, such as TLS by default and DNS over TLS to help protect all web communications and keep them private. 7. Andriod pie also features a lockdown mode for extra security, that locks down your device with the push of a button. When enabled, it lets you disable the fingerprint sensor or trusted voice unlock (reverting to your backup unlock methods such as a PIN or pattern). 8. With a single home button, you now have the option to ditch Android’s traditional three-button navigation and go with gestures instead. 9. Android Pie mostly focuses on backstage improvements designed to make Android phones work faster while saving battery life through Adaptive battery which prioritizes the apps you use most and limit battery power for apps you use less. 10. Android 9 introduces tools that aimed to prevent phone addiction. A new dashboard tells you how much time you’ve spent using your phone, and the time spent on individual apps. Users can also set time limits on how much they use a certain app. The new feature comes as Silicon Valley which tries to combat tech addiction. 11. Andriod 9 pie has an official dark mode option in the Settings app. Instead of relying on the wallpaper in order to trigger the dark mode, users can now decide whether to always use dark mode, light mode, or let the phone decide for itself. 12. Android 9 has added OCR support for S2S in Camera and Pictures to make text even more accessible. Simply select text when using the camera or picture gallery, and the text will be highlighted and read aloud. 13. Andriod pie also features a new Accessibility Service which makes it easier to understand conversations by dynamically adjusting over 100 settings to boost the audio in scenarios such as a loud restaurant, bar, or concert. 14. Adaptive Brightness is also a new feature in the new Android software. Users’ phone learns how to set screen’s brightness in different lighting environments and automatically does it for you over time. 15. With Android 9, there is a multiple camera support which enables developers to create immersive experiences using streams from two or more physical cameras, such as on devices with either dual-front or dual-back cameras. Examples include depth, bokeh, stereo vision, and more. 16. The new OS has Work tab in launcher, this enables one to visually separate work apps with a tap on the work tab to see work apps all in one place and turn them off with a simple toggle when you get off work. 17. Android 9 now provides the ability for Enterprise IT admins to define freeze periods up to 90 days during which time devices in their fleet will not update the Android OS. 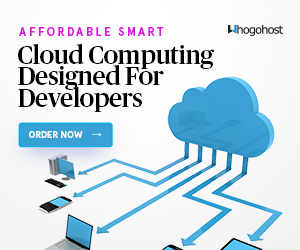 This ensures their devices states remain unchanged during a critical time like holidays. 18. With Android 9, you can connect up to five Bluetooth devices and switch between these devices seamlessly. Incoming phone calls will be sent to all connected Bluetooth devices that can accept, so you’ll never miss a call. 19. On compatible hardware, apps can now use UI controlled by the secure hardware to get your confirmation for a sensitive transaction, such as making a payment and apps take advantage of tamper-resistant hardware to protect their private keys, making it harder than ever for malware to steal their credentials. 20. Andriod 9 also make use of External camera support which supports external USB / UVC cameras on certain devices.